Building a new home can be a wonderful experience, giving you the power to design your home from scratch and experience the joy of being the first inhabitants to ever live in it. Your home will never be quite as clean again as those first few weeks of a brand-new build, which is a definite advantage! If you’re considering building your own home, it’s empowering and useful to understand the details of construction loans. Since construction loans aren’t quite as straightforward as simple home loans, there are a number of additional decisions to make around the structure of the loan and the timing of funding releases. Additional documentation may also be required by your lender in order to secure the flexibility required for a construction loan to progress without a hitch or delay. In addition to the standard documentation required to prove your financial status, income regularity and identity, the application process for a construction loan requires contracts or tenders for the construction itself, as well as the house plans in order for a valuation to be performed. Further documentation will also be required in order for the first payment to be made from the lender to the builder. This will include a schedule of payments to be made (which are referred to as drawdowns), details of the builder’s insurance, and the approved final construction plans which have the official go-ahead from the local council. Construction loans are designed in order to save you from paying unnecessary interest during the construction phase. To avoid having to contribute your entire deposit and paying interest on the full loan amount from the moment of the land purchase, lenders will give you the capacity to split your mortgage into a loan for the land and a construction loan. If you’ll be paying lender’s mortgage insurance in order to secure your mortgage, this will be due when the land portion of the mortgage settles. At this point, your repayments on principle and interest will commence on the percentage of the loan that’s already settled. Once construction begins, typically there are 5 progress payment drawdowns – Base Stage, Frame Stage, Lock Up Stage, Fixing Stage and Final/Completion Stage. Each time a stage is completed, the builder will invoice the customer for the work done. The customer will then send the invoice to the bank with their approval to make the payment. The loan will then increase to pay, and therefore, so will the repayments at each stage. It’s important that the drawdown schedule is agreed upon by yourself, the builder and by your lender. Each time your builder completes another stage, you’ll need to make a drawdown request to your lender, whom will then approve the request once they’re satisfied the work to date is completed and is up to the standard expected in the valuation. If there are any changes to the contract or to the timeline of your construction, a reassessment of the loan may be triggered. It’s highly important for your lender to sign off on the finalised, completed plans for the build. Changing these once construction has commenced could risk a reassessment. Problems can also arise if other work on your land needs to be paid for which isn’t carried out by your builder. Some builders may use subcontractors as a part of the main contract, allowing for builders to pay them throughout the drawdown schedule. Other builders won’t include them, meaning the work completed by the subcontractor needs to be paid for from your own pocket. 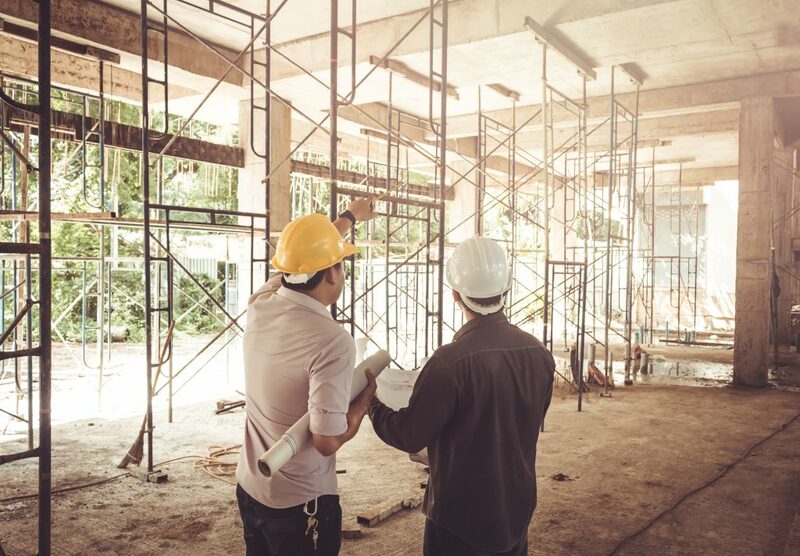 Understanding your contract’s inclusions, terms and conditions is of vital importance in order to ensure a smooth building process for all involved. If this is your first time securing a construction loan, or you’re looking for the assistance of a seasoned expert, please feel free to get in touch with me so I can bring the expertise you need to find the construction loan most suited to your situation.